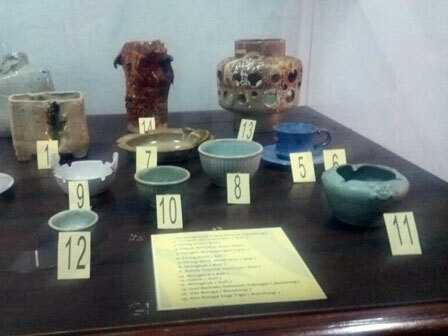 Fine Arts and Ceramics Museum located in the Kota Tua, West Jakarta held ceramic making class every day, except Monday.
" Herein, visitors can learn to make ceramics with massage techniques, prints and turnstiles"
Jakarta Art Museum Management Unit Head, Esti Utami said, every day, visitors can learn to make ceramics by registering first. The ceramic making class is started at 8 AM-5 PM in the ceramic workshop room, precisely Studio Pottery. "Herein, visitors can learn to make ceramics with massage techniques, prints and turnstiles," he explained, Saturday (1/27). Aside that, in the museum, there is also a painting teaching class that is carried out in the painting workshop room. "It is one way to attract visitors of the museum," he stated.